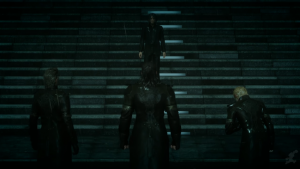 This page contains a detailed walkthrough of Chapter 15 – Epilogue in Final Fantasy XV, including quests, objectives, items, enemies and bosses encountered in the game. 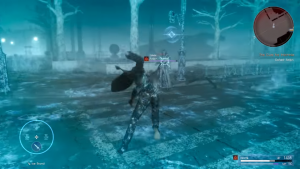 Ardyn usually moves with multiple quick attacks, so avoid or block his attacks until he stops. Strike Ardyn after he ends his barrage. He will also use powerful ice magic, so avoid it using a dodge roll. Since Ardyn also has map shift and shift break, he moves quite similar to Noctis. Block and parry his attacks as much as possible to avoid damage. The key to defeating the boss is to counter his attacks. 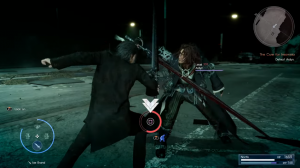 Ardyn will sometimes clash swords with Noctis, so keep pressing the square button in order to make him vulnerable, then attack in rapid succession. When you load the clear data, it is resumed before the final boss battle. To return to the open world to do unfinished side quests, go to a rest point and select the option to talk to Umbra, then choose to be taken back to the past. I really love playing FFXV but the last chapter was really deppressing I mean I am expecting that Noctis (the successor of the throne) will rule over the kingdom despite of his loss as Lunafreya died earlier in the chapter. After beating Ardyn and the Imperial Army. 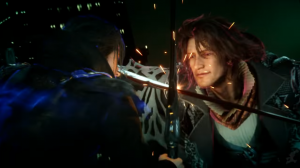 As he bid farewell to his friends after winning over Ardyn my heart was broken and I know that he will not come back alive. The fate of the Royal Blood Family was very sad and tragic. I cried. No joke. That last cut scene hit home sooooo hard. IT was sooooo hard but I dune it???????????????????????????????? Just completed, selected a save box after watching cutscene. Now when I load this save box it brings me to before I fought ardyn in the citadel??! WTF! What’s all this talk about post-game? I know I can call umbra to go back, will that then be classed as ‘post-game’??! That’s with all Final Fantasy post-games pretty much. The save file itself is embedded with completion data that will unlock otherwise unavailable content by travel to past locations ie post game quests et . There are no more chapters to be had once you defeat Ardyn. Good game. I liked it and I played all final fantasy games from day 1 and this one is quiet different from all. It’s sad because in this one the hero dies out of existence. I personally managed to beat the game being only level 39… It’s really not that hard folks.Buy the greatsword and daggers at hammerhead before you head into crown city, use the wrap points, get a bunch of abilities in the ‘combat’ tree to boost your attack… I only used 30 potions and 5 phoenix for the whole of chapters 14. It’s doable without being level 50+! Totally different from your problems oops?. Do any of you read? Someone answered all those questions, read about Umbra. The user nails what you need to do in order to go back for healing items and leveling if you’re not strong enough. What you would do is you would take the elevator back down, go to the nearby rest point and call umbra to go back to the past. Then you will be back in Lucis and able to go and buy potions. From there I think you might be able to go to a rest point and call umbra again in order to return to the Crown city. You can actually call Umbria at one of the rest stations to go back to the past. You can get EXP, Gil + items this way. I’m having the same problems I ran out of potions.. please tell me I’m not screwed. Why can’t i play The game from my end fame data? Is there a way to play The game after ending? There will be an icon in your save file which signifies that you’ve finished the game. Load that file and then go to a nearby rest point. Talk to Umbra and choose to be taken back to the past. Hope that helps!